It was great to see so many of you at the Meet the Teacher and Curriculum evening on Wednesday. It is great to know that the children and the school have such great support. Many of you completed a questionnaire that evening, looking at what further training you would like in order to support your children even better. We will analyse those results and look forward to running several events in response. If you haven’t yet returned your questionnaire please do! 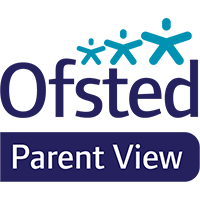 Please do also follow this link to let Ofsted know your views.